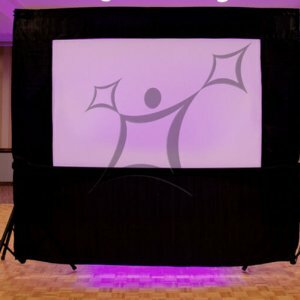 All put together, working DJs will be happy to find out that the DJscreen is an amazing one-size-fits-all screen and it supports the rigors of a mobile DJ lifestyle. I just received mine last week. It is well made. I thought there might be grommets in the side, but it actually has reinforced holes which is better. Good quality. Good communication with DJscreen.com. 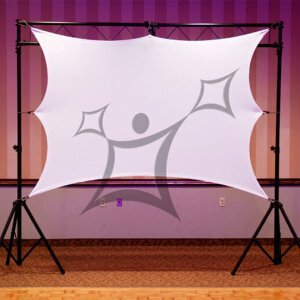 It’s a versatile, portable screen that works for any occasion. The ease of set up is incredible! 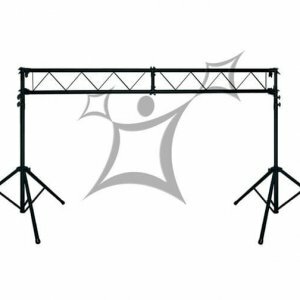 Easy to rig up, gives the impression of a large-scale, rock concert-style event. 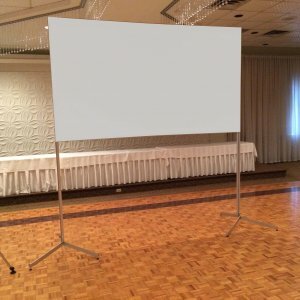 This type of abstract screen shape really adds a kind of artsy vibe to your presentation. DJscreen: Often imitated, never duplicated. Beware of imitations, they are a rip-off and nothing more than a peice of fabric. Get the original DJscreen! Get the NEW DJ² in time for the holidays!